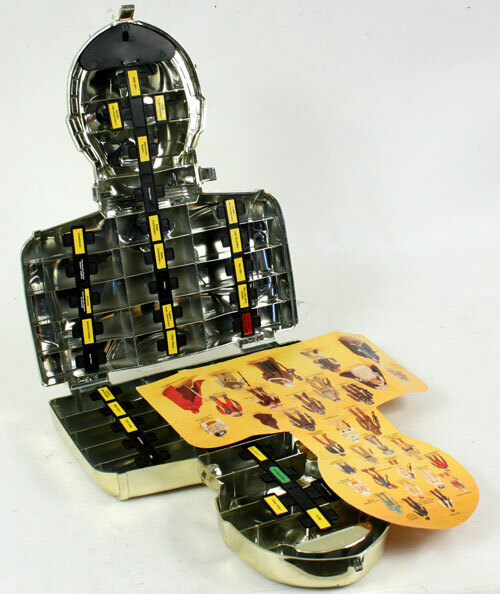 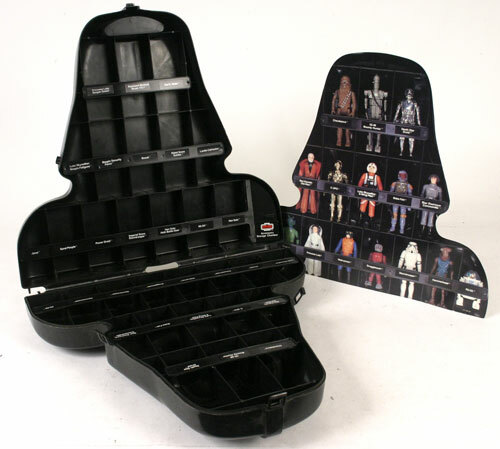 Kenner released 3 main display stands for the 2-4" action figures and a variety of storage cases for action figures between 1977 and 1985. 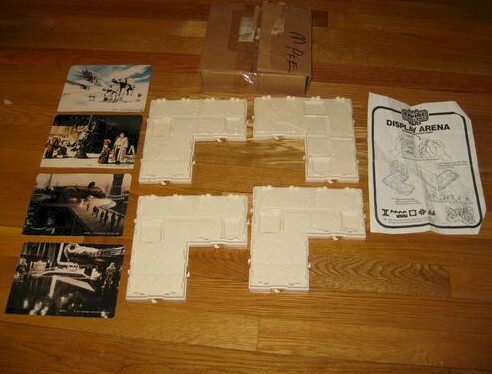 Made of cardboard, this stand was available via the pre-order early-bird offer. 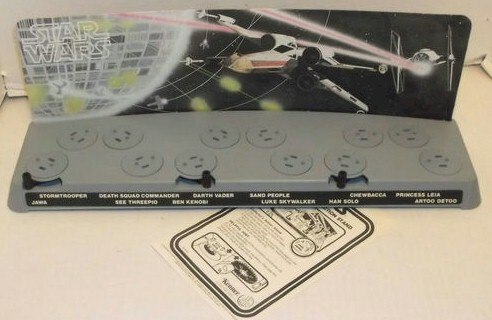 It comes with 12 little white pegs and is pretty hard to find in good condition. 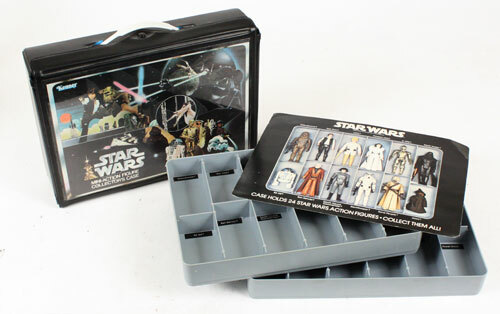 This was quickly replaced by the more durable plastic base display stand. 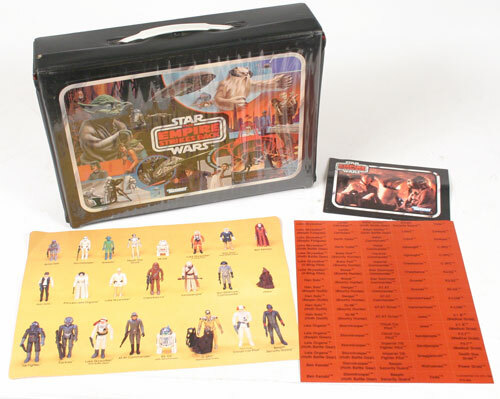 Available by mail-away from The Empire Strikes Back figures, the display arena has 4 double-sided display cards that can be used to create action figure backdrops. 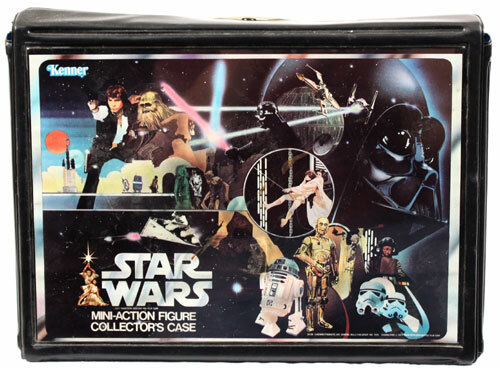 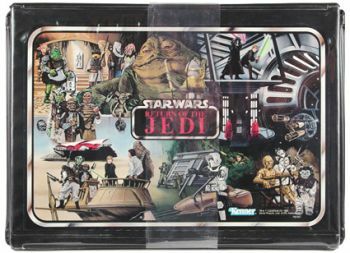 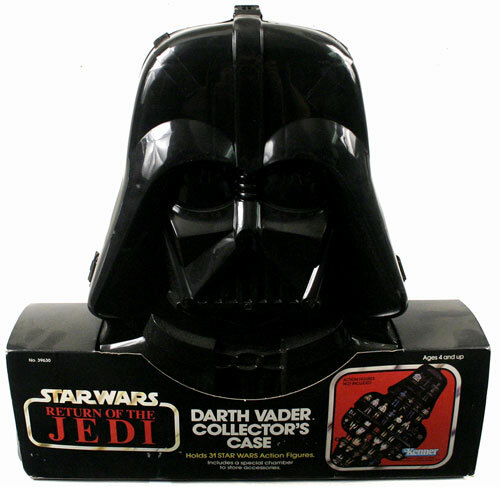 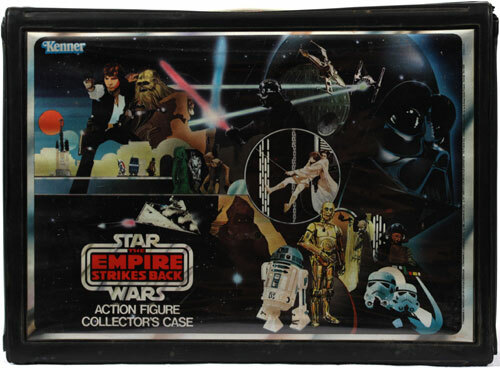 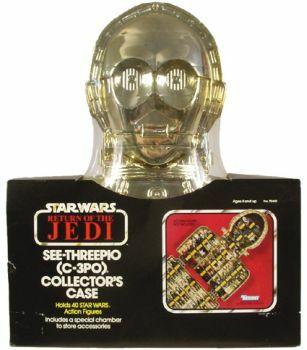 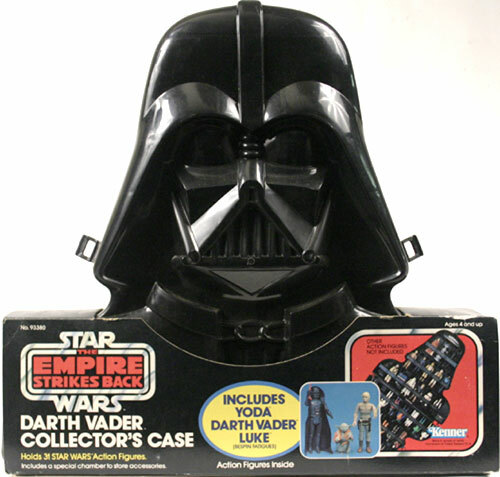 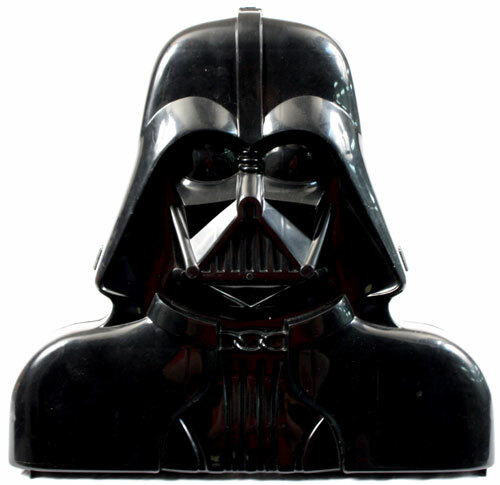 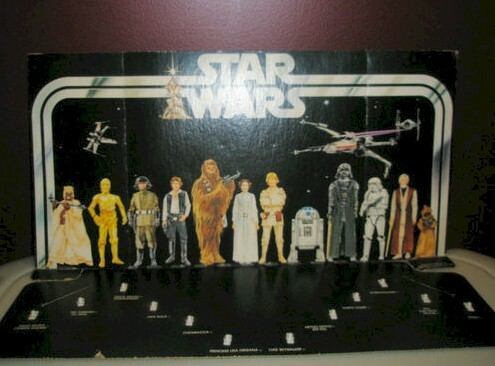 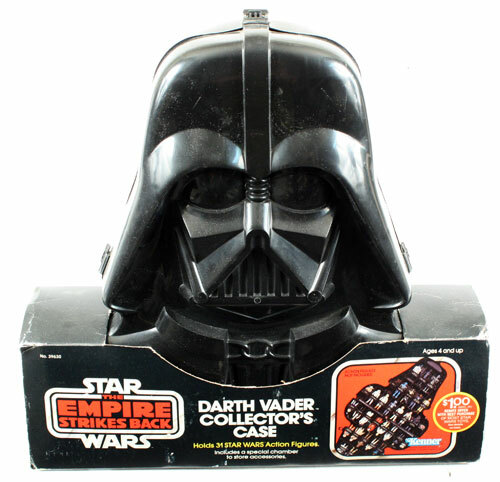 Also quite popular were the rectangular suitcase style action figure cases. 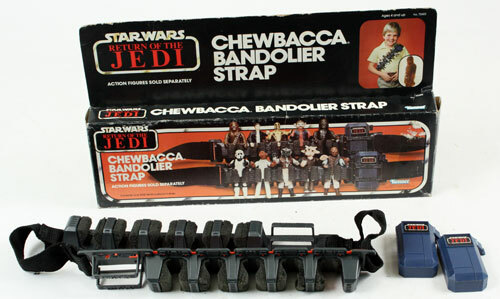 These were sold in a variety of styles for each movie. 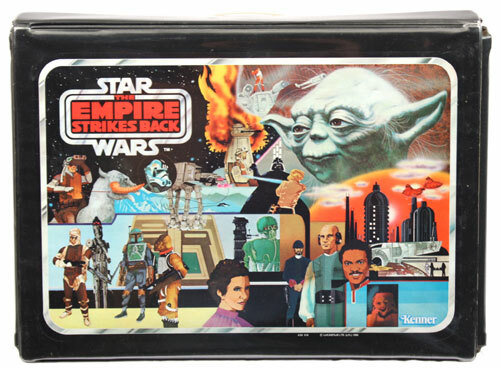 Although all can be found in good condition today, the Empire Strikes Back "Wampa" case is the hardest to find.